Just as there are foods which can promote good health, there are also foods which can promote poor health. We already know, for example, that trans-fatty acids or hydrogenated fats can increase one’s risk of suffering from a heart attack. 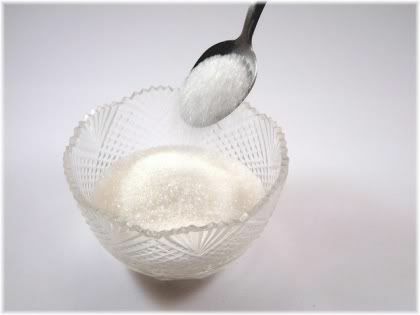 We also know that white sugar is very deleterious to one’s health, as it can result in tooth decay, reduced immune function, obesity, premature aging and cardiovascular disease. Sweet, white and deadly. Sugar contributes to many of the health problems that plague our modern-day society. Sugar is a very interesting area of study when it comes to human health, because whenever a society is introduced to sugar, and sugar based products, the health of that society, and its subsequent generations, rapidly spirals into decline and develops many of the modern-day diseases that plague us today such as diabetes, heart disease and cancer. 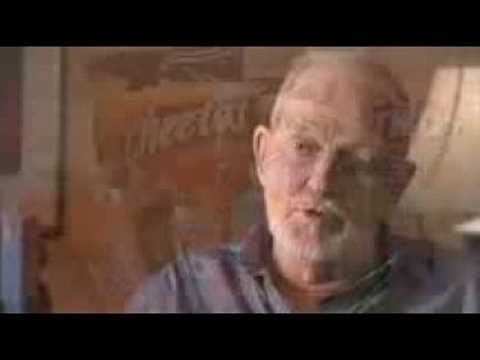 The effects of sugar based foods on societies throughout the world was vividly described in a book written by Weston A. 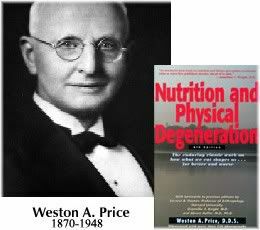 Price entitled “Nutrition and Physical Degeneration“. Dr. Price found that the more sugar a society consumed the worse people’s health became. In the book, which is now available for free online, Price looked at many different populations throughout the continents of the world to see what sort of relationship there was between the health of a population and its diet. In summary, Price found that the more sugar or white flour products a population consumed, the worse that population’s health became. This was most visible in the teeth, and needless to say, populations which ate the most sugary foods, displayed the most dental caries and the most dental arch deformities. The trouble with sugar, apart from it tasting so good, is that it’s now present in virtually all processed foods. So unless you only eat food which you make by yourself, you are probably consuming a lot more sugar than you realize! Even things which you would not expect to contain sugar often do, such as cigarettes, so it can be quite hard to monitor and limit your sugar intake unless you are taking an all natural approach and not consuming anything that has been pre-prepared, processed or radically changed from its natural state. Sugar is added to virtually all processed foods. Most people, however, who choose to avoid sugar, do so not because they fear the health consequences, but because they fear the effects it has on their appearance. It’s well-known, for example, that consuming too much sugar leads to weight gain, and that a good way to lose weight is to cut out sugar from your diet. As a result, image conscious people who wish to maintain an attractive slender looking figure, or those who wish to shed an unattractive looking figure, take steps to avoid sugar whenever they can. One way in which they do this is by using artificial sweeteners instead of sugar. 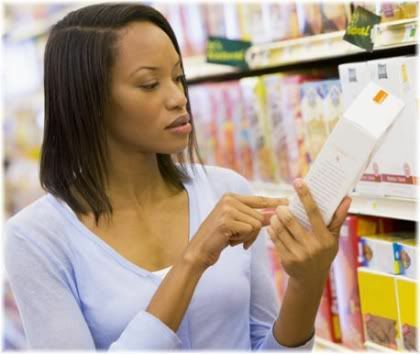 Artificial sweeteners, sometimes called sugar substitutes, are a man-made or synthetic food additive that’s designed to mimic the taste of real sugar. Artificial sweeteners have become very popular in recent years due to their promotion as a calorie-free alternative to sugar, which is why you will commonly find them in diet based products such as “Diet Coke” or “Coke Zero“. 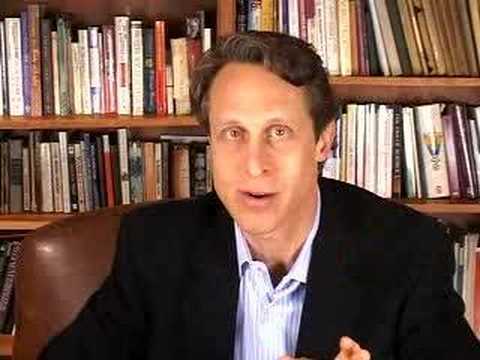 Many people believe that artificial sweeteners are a healthier option than regular sugar. But is this really true? Or just the result of clever marketing? Artificial sweeteners are also less likely to result in dental decay, and they can be used by sufferers of diabetes or reactive hypoglycemia which are conditions where an individual must avoid eating high-glycemic foods. So on the surface, artificial sweeteners seem like a great substitute to sugar, but like most man-made foods, there are health concerns associated with their use. Below we look at some of the most common artificial sweeteners that are found in foods today, and the specific health concerns that have been associated with each. One of the most common artificial sugar substitutes is aspartame, which most people know as “NutraSweet” or “Equal“. Aspartame is made up of three chemicals: 40% aspartic acid, 50% phenylalanine and 10% methanol, and produces a taste that’s around 200 times sweeter than sucrose (i.e., common table sugar). 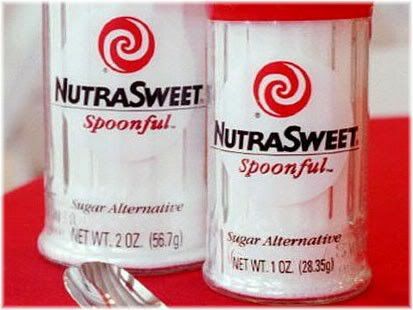 NutraSweet is one sugar alternative you definitely don’t want a spoonful of! 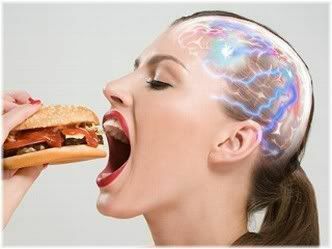 Aspartic acid, an amino acid, can raise levels of the excitatory neurotransmitters aspartate and glutamate in the brain. Neurotransmitters are what allow neurons to communicate with each other by facilitating the transmission of information between neuronal cells. 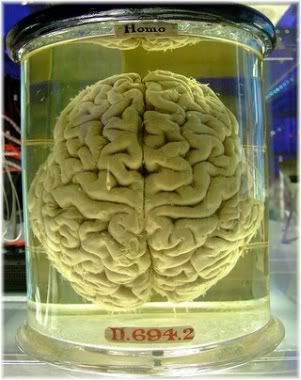 Aspartic acid can overstimulate the brain resulting in neuronal damage and death. Too much aspartate or glutamate, however, can result in an overstimulation of neurons leading to neuronal cell damage and death as a result of excess free radical production. This is why aspartate and glutamate are sometimes referred to as “excitotoxins” because they can kill neural cells by causing them to become too active. Although phenylalanine is naturally present in the brain, unnaturally high levels, such as that caused by aspartame ingestion, can result in decreased levels of serotonin which is a hormone that’s important for mood regulation and the sleep-wake cycle. 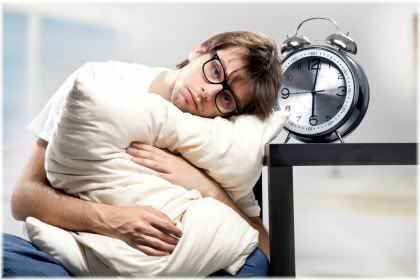 High levels of phenylalanine can cause mood and sleep disorders. Low levels of serotonin can therefore make a person more vulnerable to suffering from mental disorders such as depression, schizophrenia, mood swings and sleep disorders such as insomnia. 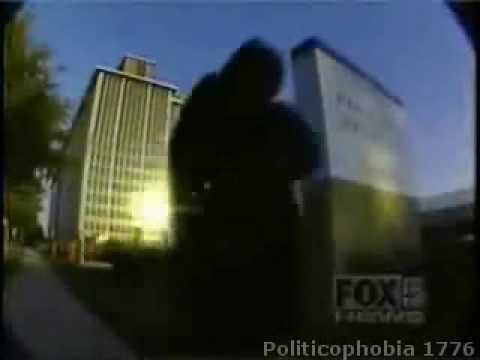 When methanol is ingested it’s broken down by the body into formaldehyde and formic acid. 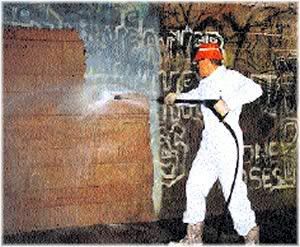 You have probably heard of formaldehyde before, because it’s one of the ingredients found in embalming fluid which is used to prepare the deceased before burial. Formaldehyde is used to preserve organs and the deceased. Is it really a good idea to eat or drink this stuff? 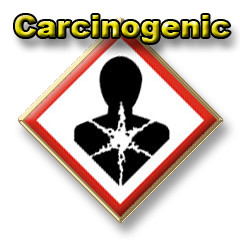 Both formic acid and formaldehyde are known to be neurotoxic to the brain, and they can also cause damage to the eyes affecting a person’s vision in addition to acting as a carcinogen. There are over 92 different side effects that have been linked to the consumption of aspartame, and this artificial sweetener brings in more complaints to the Food and Drug Administration (FDA) than any other food additive. If Michael J. 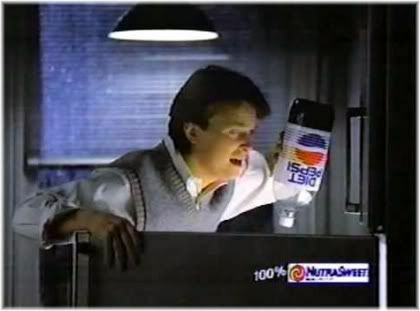 Fox could travel back in time he probably wouldn’t endorse NutraSweet containing Pepsi again, which many suspect caused him to develop Parkinson’s disease at age 29. In addition to these side effects, concerns have been expressed regarding the possibility that aspartame, and artificial sweeteners in general, lead to increased weight gain. 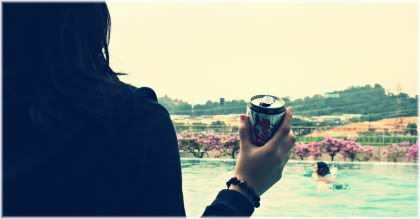 Does Drinking Diet Soda Make You Fat? 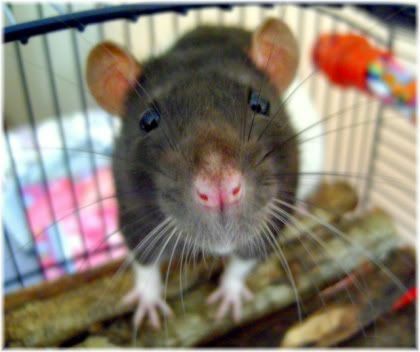 Some studies, for example, have found that when rats consumed foods containing artificial sweeteners, they ate more and gained more weight than rats which ate foods containing normal sugar (i.e., glucose). Similar results have also been found in humans. There is a common belief that artificial sweeteners help to promote weight loss, but studies have found the reverse is true. They can cause you to put on weight! The authors of the study argue that low-calorie substitutes, or fat substitutes, disrupt the body’s ability to control food intake. As a result, you end up eating more even though you may be getting no direct calories from the sugar substitute itself. Artificial sweeteners may also increase cravings for carbohydrates, which, if true, would explain why appetite and weight were found to increase in the rats. 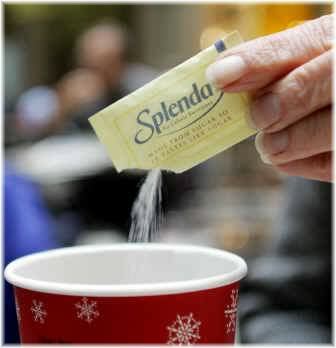 Sucralose is best known by the brand name “Splenda“. It is classed as a non-caloric sweetener because it doesn’t provide the body with any additional calories that could cause weight gain. Sucralose is 600 times sweeter than table sugar, and 3 times sweeter than aspartame. This makes sucralose very attractive to food manufacturers because they can use less of it to sweeten their products, thereby reducing their production costs whilst increasing their profits. Furthermore, sucralose doesn’t leave an aftertaste and so it tastes like real sugar and not like an artificial sweetener. There’s nothing splendid about this artificial sweetener! Sucralose is made by chlorinating, or adding chlorine atoms, to sucrose, which therefore makes sucralose a chlorine containing compound, a chlorocarbon. 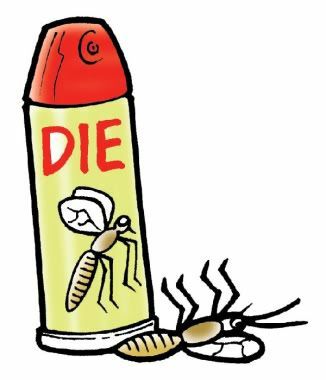 Chlorocarbons are known to be highly poisonous to living life, which is why they are often used in disinfectants and insecticides. Sucralose is a chlorocarbon, an ingredient used in insecticides. When ingested in the body, chlorocarbons release chlorine which is then taken up by cells resulting in cellular damage that eventually affects the organs and nervous system. So it’s not surprising that chlorocarbons have been linked to cancer, birth defects and a reduction in immune system functioning. There are also concerns regarding the purity of sucralose. This is because it’s only produced to a purity level of 98%, and so it may contain up to 2% of toxic contaminants such as heavy metals, arsenic and methanol. In fact, some of the chemicals used to make this artificial sweetener are on the Environmental Protection Agency’s (EPA) list of deadly poisons. These contaminants each cause their own health problems and tend to bioaccumulate in the body. This means that the more sucralose you consume, the worse your health is likely to become. 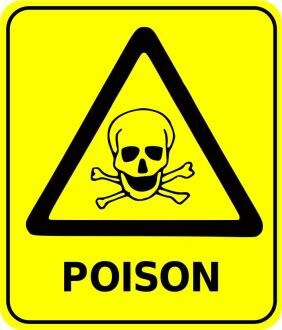 Many of the ingredients found in sucralose can also be found on the EPA’s list of most deadly poisons. Cool! Other chemicals used in the production of sucralose include: acetone (nail polish remover), benzene (a known carcinogen used in oil and gasoline), methanol (wood alcohol used in windshield washer fluid and antifreeze) and formaldehyde (used to preserve dead bodies). 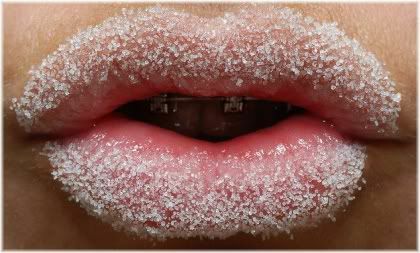 Sugar lips, kiss me not! The health effects of sucralose are believed to be cumulative, as although the vast majority of it is excreted by the body when consumed, around 10-20% is absorbed. Long term serious health effects of sucralose, such as immunological or neurological disorders, may therefore not appear for years or even decades after continuous consumption. 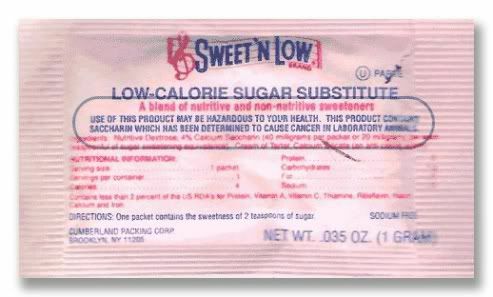 Saccharin, or sodium saccharin, is best known by the brand name “Sweet and low“. It’s around 300 times sweeter than table sugar, but it can leave a bitter aftertaste and so it’s usually combined with other artificial sweeteners like aspartame or sucralose. Saccharin: A Sweet Sugar or Toxic Danger? Like these sweeteners, saccharin is also classed as non-caloric sweetener because it doesn’t provide the body with any additional calories. Unlike these other sweeteners, however, saccharin has been around for a very long time, around 100 years, and so out of all the artificial sweeteners available, it’s currently the best researched in terms of its long-term health effects. 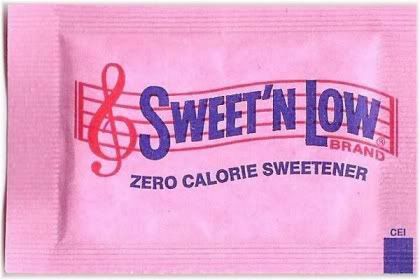 Sweet’N Low originally came in pink sachets because it was thought that the color would appeal to women dieters. Research carried out in the 1960s, for example, showed that, in animals, saccharin consumption increased the incidence of cancerous tumors. Based on these findings, some countries, such as Canada, banned the use of saccharin in food products altogether. This warning was, however, later withdrawn, after studies in humans failed to produce the same results seen in the animal experiments. As a result of these latter findings, the FDA now considers saccharin to be a safe artificial sweetener and not a carcinogen as previously thought. Not everyone is happy with this decision though, as some argue that there are too many animal studies which show that saccharin can cause cancer to completely delist saccharin as a cancer promoting agent and thus classify it as safe. Although early studies found saccharin caused bladder cancer in rats, later studies found this not to be the case in humans. Influence of the manufacturers? Overall, saccharin is probably the safest artificial sweetener currently available on the market, although it’s now not used as much as it used to be, and when it is used, it tends to be mixed with other artificial sweeteners which are known to be extremely toxic. 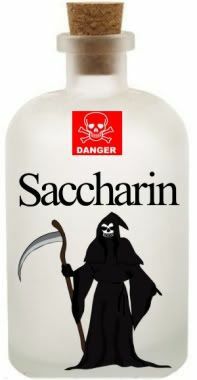 Finally, because studies have shown that saccharin can cross the placenta, it is not advisable for pregnant women to consume saccharin as its effects on the developing fetus are not entirely known. Saccharin is probably the safest of all the artificial sweeteners, but that doesn’t mean it’s good for you. 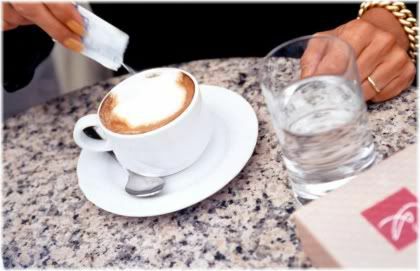 One artificial sweetener that not many people are aware is actually an artificial sweetener, is acesulfame potassium which may also be listed as acesulfame K, Ace-K or Sunett. 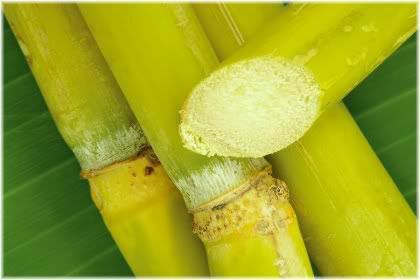 It’s around 200 times sweeter than table sugar, doesn’t contain any calories, and can also be used as a flavor enhancer. There is a lot of controversy regarding the use of acesulfame K in food products, however, as there have been no long-term studies to determine what sort of health effects it causes in humans. Animal studies though, have shown that ingestion of acesulfame K leads to a doubling in the incidence of cancer in some cases, although other studies have shown no increase in cancer rate. Studies found that acesulfame K doubled the rate of cancer in rats. Another concern regarding the safety of acesulfame potassium relates to the methylene chloride that it contains. Methylene chloride, a compound which is used in paint strippers, can act as a carcinogen which may explain the increase in cancer of the lungs, liver and pancreas seen in the animal experiments. Furthermore, when broken down within the body, acesulfame K produces acetoacetamide as a by-product, that, in one study, was shown to increase the incidence of thyroid cancer in rats after a period of only three months. Methylene chloride exposure can also result in headaches, vision disorders, mental confusion, and liver problems, when consumed on a long-term basis. Acesulfame K contains methylene chloride, a known carcinogen used in paint strippers. Finally, there are concerns that acesulfame K can increase a person’s appetite as a result of increased insulin secretion which then leads to lowered blood sugar levels that cause cravings for sweet foods. The manufacturers of acesulfame K, however, dispute these claims stating that acesulfame K is not absorbed by the body and so has no effect on insulin secretion. It has since been discovered that the body does absorb a small amount of acesulfame K, around 10-20%, although most is excreted in the urine soon after ingestion. Coffee and paint stripper. Yum! Now that you have seen what artificial sweeteners there are, let’s have a look at some of the natural sugar alternatives. 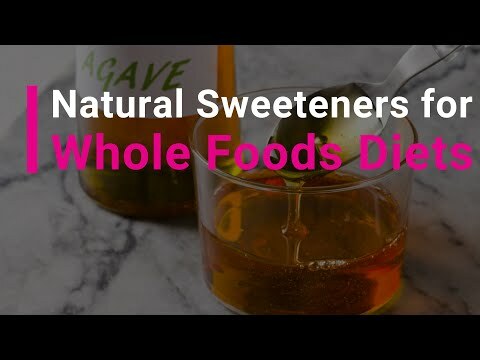 If you are concerned about the health effects and dangers of artificial sweeteners, but can’t seem to overcome your sweet tooth, you may want to try using one of the following natural sweeteners instead. It’s important to note though, that just because something is natural it doesn’t necessarily make it safe or side-effect free. There is controversy, for example, regarding the use of stevia as a natural sweetener, and some sweeteners, such as liquorice root, may cause high blood pressure with prolonged use. In general though, the side-effects associated with natural sweeteners are likely to be less severe and less commonplace than those found with the artificial sweeteners. One reason for this is because you are dealing with a natural, rather than an artificial compound, and so the body is already equipped to deal with it. This is juice made from sugar cane that has been dried and so it contains the same natural minerals and nutrients found in unrefined sugar. 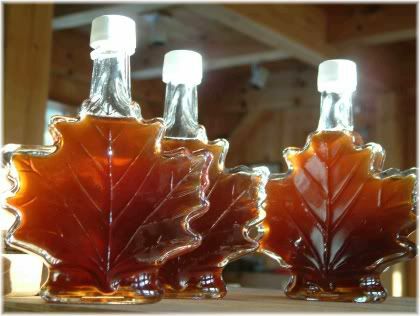 Maple syrup, or unrefined Grade B maple syrup, can be added to both foods and beverages. In its natural state, it contains vitamins and minerals. Made from a South American plant that has been used by Paraguian Indians for hundreds of years, stevia is 300 times sweeter than sugar and so only needs to be used in very small amounts. It should be noted though, that the Paraguian Indians use the whole plant rather than an extract to sweeten their drinks, and do so only occasionally. Some of the risks or dangers that have been associated with stevia use include: lowering of blood pressure, lowering of blood sugar levels which may increase carbohydrate cravings, possible contraceptive effect, and possible carcinogen. Brown rice syrup is a derivative of cooked rice and is a natural way to sweeten your drink. 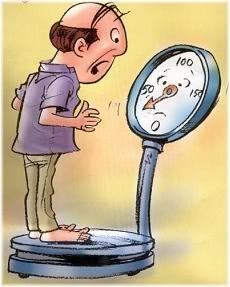 However, because it has a higher glycemic index than sugar it should be avoided by diabetics. 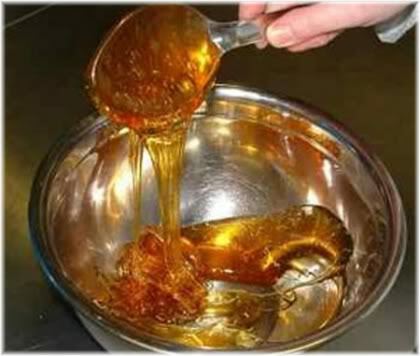 Agave nectar, or agave syrup, comes from the agave family of plants in Mexico. It has a sweeter taste than honey but is much more runny. 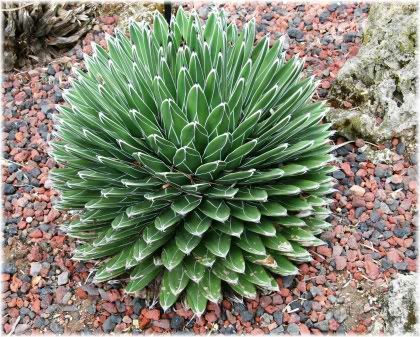 Due to the high fructose content of agave (50-70%) it is not recommended for use by diabetics or by anyone who wishes to lose weight. 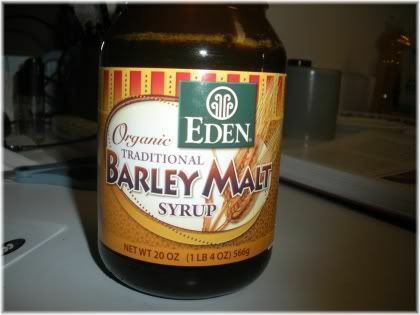 Barley malt syrup is a natural sweetener made from sprouted barley. It is not as sweet as regular sugar, and has a distinctive taste to it, so not everyone may like it. 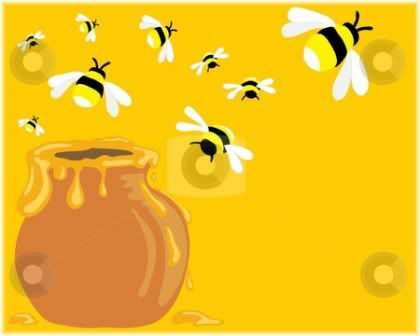 Unrefined honey, or organic raw honey, contains vitamins, minerals and trace minerals. Some even find the use of raw honey to be beneficial in overcoming seasonal allergies such as hay fever. Yacon syrup is a sweetener made from the roots of the yacon plant, a plant which is found in Peru. It has very few calories, and a low glycemic index, which makes it suitable for use by both dieters and diabetics. 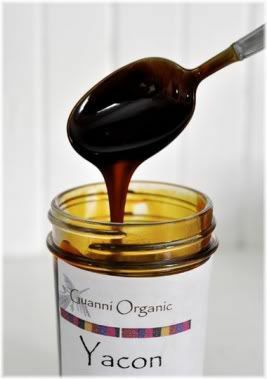 In comparison to honey, or agave nectar, which have 60 calories per tablespoon, yacon syrup has only 15. So if you’re looking for a natural sweetener that won’t raise your blood sugar levels and cause insulin spikes, then yacon syrup is a good choice. 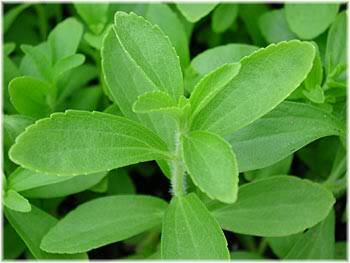 But if 15 calories is too much, consider using stevia instead as it’s a natural calorie-free sweetener. 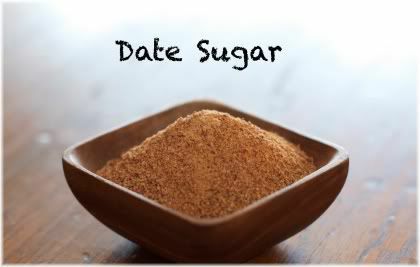 Date sugar is made from dried dates that have been ground up and so it contains the same nutritional value as the whole fruit. It is most suitable for use in baked goods, however, as it does not dissolve very well in liquid. Liquorice, or licorice root, is an excellent way to naturally sweeten your tea. 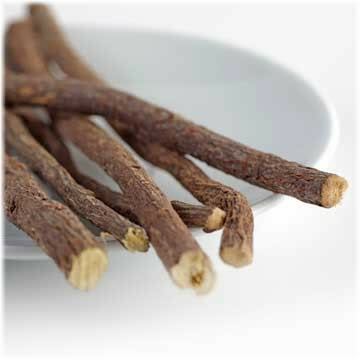 It’s best to buy liquorice root already ground or cut up though, as the root itself is very tough and difficult to cut when dry. Note: Studies have shown that at both high and low doses, liquorice consumption can lead to high blood pressure (hypertension).